The viognier grape really sings in this latest vintage of La Jasse's Blanc de Blancs. Viognier/chardonnay is an increasingly popular blend in the Languedoc, with chardonnay adding depth and roundness to the pronounced floral perfume and exotic fruit of the viognier. 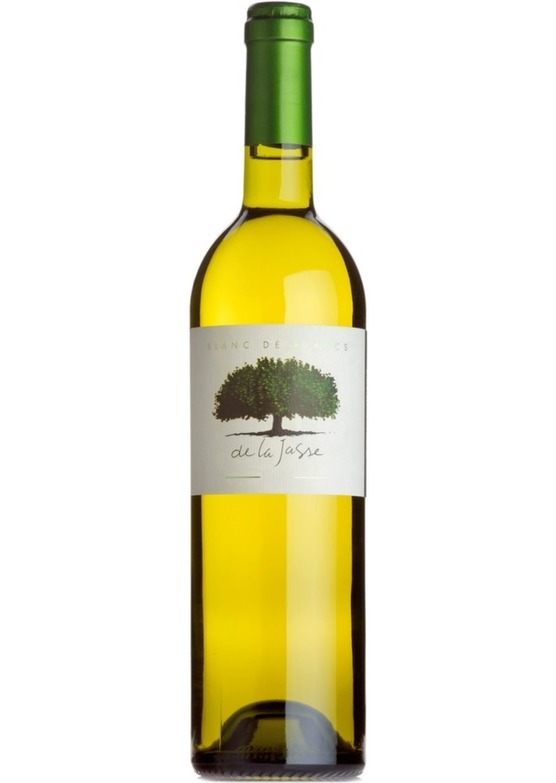 Pronounced aromas here of spring blossom, pears and white peach, with a bright, expressive freshness. Crisp and dry on the palate but with a luscious, ripe almost honeyed character. The two grapes dovetail very well in this cuvée, with orchard fruit flavours and a touch of something more exotic, melon perhaps. Packed full of flavour, and very food-friendly, but all held nicely in balance with a zesty citrus spring in its step. Essential summer drinking.